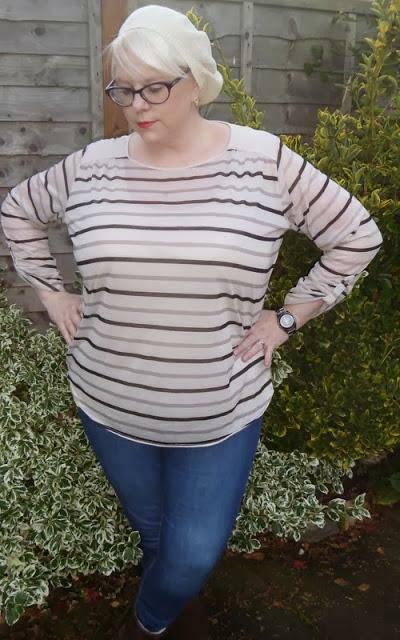 I have a few stripy bits and pieces most of which have already been on the blog so I rummaged around in my wardrobe and found an old Primark top which I had forgotten about. OK so I don't look like a burglar but I am wearing horizontal stripes!!! 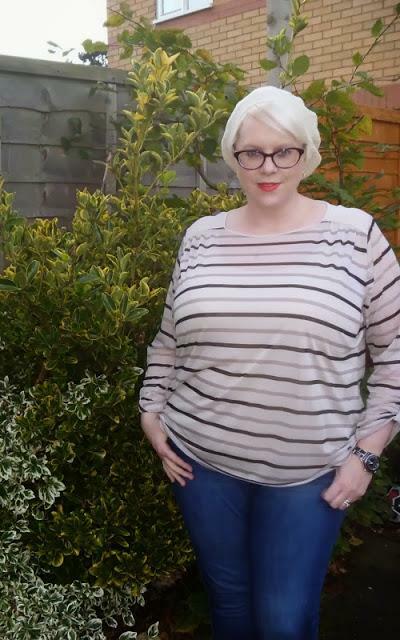 Sound the alarms a fat girl wearing stripes and do they make me look any bigger no I don't think so, I just look like me a fat short blonde lady!!!!! 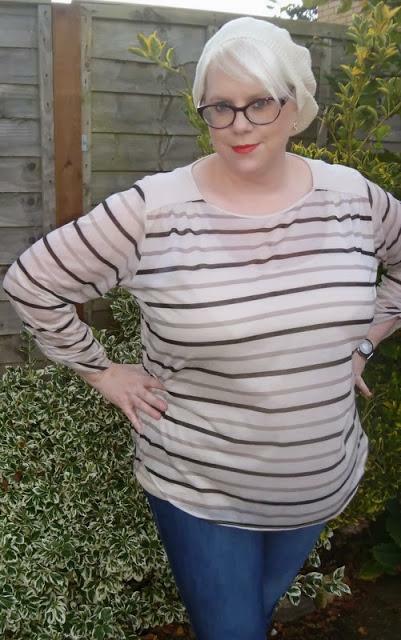 I am undecided as to whether to keep this top or put it on Ebay as I always think it is a bit mumsy but then again I can't always be the fabulous fat fashionista either!! !